Welcome to your dream home in the city of Tustin. Want to explore the area and look at homes to buy? Please search for your dream home via our Tustin MLS listings and let us know how we can help. Tustin is a city located in Orange County, California, in the Los Angeles metropolitan area. As of the census of 2010, Tustin had a population of 75,540. The city is located next to the county seat, Santa Ana, and does not include the Tustin Foothills. It is bordered by Irvine on the south and east, Orange and the census-designated Tustin Foothills on the north, and Santa Ana on the west. Tustin has been home to famous personalities and athletes including Cuba Gooding Jr, Sam Baker etc. Tustin Ranch is an upscale community located in the city of Tustin, California in Orange County, California. The property is historically part of the Irvine Ranch and was a land preserve up until the creation of the community. The Irvine Company decided to build the master-planned community in 1982, which was approved for construction in 1986 by the County of Orange. It was annexed to the city of Tustin in 1986 and formed the 92782 ZIP Code. The Tustin Ranch was formerly a citrus ranch prior to the 1980s before its development. Today, you will ﬁnd no citrus ranches on the Tustin Ranch plan, but almost all of the community streets are named after components of the former Ranch. The plan called for the creation of 7,000 residential units, from mansions to apartments to accommodate the great variety of residents living in Orange County. The community falls within the Tustin Uniﬁed School District, and currently, includes four schools within the ZIP code. Nearly all the communities within Tustin Ranch surround the Tustin Ranch Golf Course, an 18 hole championship level course that was named Orange County's Finest Golf Course. The 165- acre (0.67 km2) property winds through the foothills of the communities, and is dotted with several man-made lakes. Gerry Goodman has been working with buyers and sellers in Tustin & Tustin Ranch real estate for over 25 years and would love to discuss your interest in owning a fabulous house in the area. 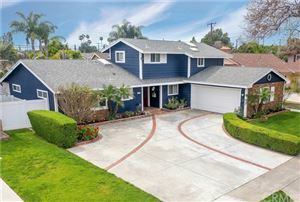 Login to view our Tustin MLS listings.